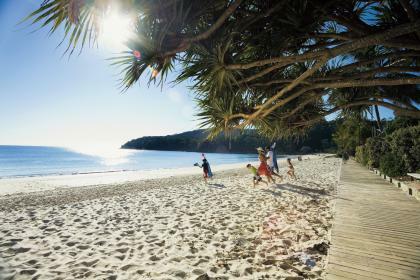 The beachside town of Noosa is located at the top of the Sunshine Coast about two hours north of Brisbane airport. Noosa is a wonderful holiday location in itself, but also a launch pad for many exciting activities that are only a stones throw away. When you arrive on the outback programme you will have three days to explore this amazing destination. Although boutique in size, Noosa and it’s surrounding areas are rich in restaurants, bars and designer shops. Noosa’s main Hastings Street for shopping backs onto the famous Main Beach where many of the hotels and restaurants are located. This includes the beautiful Halse Lodge hostel where you will be staying. If you’re feeling adventurous, make the most of Noosa and take a trip to visit the natural beauty of Fraser Island. This is the largest sand island in the world and a UNESCO World Heritage site. There are beach horse riding activities, whale watching, speed boat tours, jet skiing , surfing, windsurfing and kitesurfing opportunities. You can Kayak with Dolphins and 4WD along the beach to Double Island point. The Noosa everglades area is a catchment area of the Noosa River and you can take a cruise and canoe through the Everglades. If you’re on a budget there are many things to do. Noosa National Park has five tracks to explore with Koala and Dolphin spotting along the way! Many of the hostels offer free body boards and you can hire a bike for as little as $15 per day. Why not visit one of the free BBQ sites along the Noosa river or Noosa woods or take a walk up to the lookout at sunset. Noosa has a farmer’s market every Sunday morning and there is the famous Eumundi markets which are held every Wednesday and Saturday only a bus ride away. You can go fishing or take a stroll along the mangroves walk. And of course there is always the beach for swimming, volleyball, festivals and events. 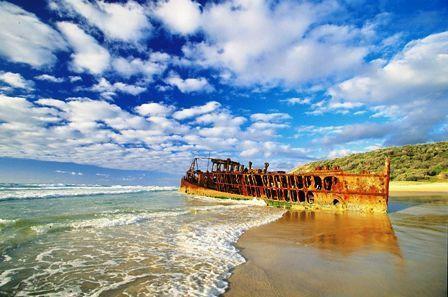 Check out Sunshine and Peregian beach both not to be missed! Have a look at our website to view the details of our Farm work programme.